The last of our Cocozelle zucchinis. 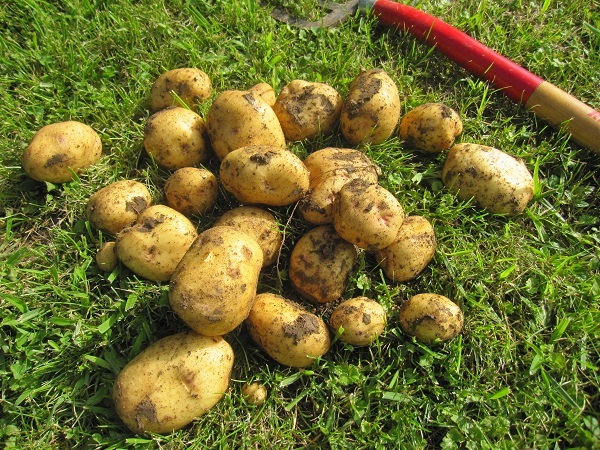 It’s been a super busy summer harvesting food from our homestead. 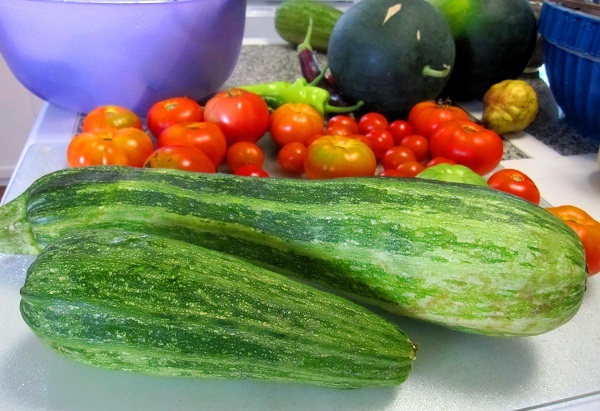 The garden has produced bountiful baskets of veggies: tomatoes, eggplant, potatoes, onions, green beans, zucchini, cucumbers, basil, a few peppers, and even some cantaloupes and watermelons. 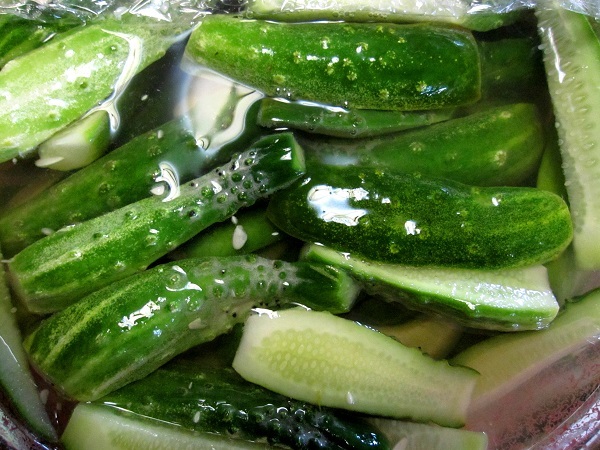 Another batch of brine cured pickles in the works. And, oh my goodness, I have so many pumpkins and winter squash coming in that I’m giving some to friends. I’ve given away 1/2 a bushel of tomatoes, and another 1/2 bushel of cucumbers that I didn’t have time to use up. Our beans, zucchini, and cucumbers are done for the season and I’m happy to have some put up for later. 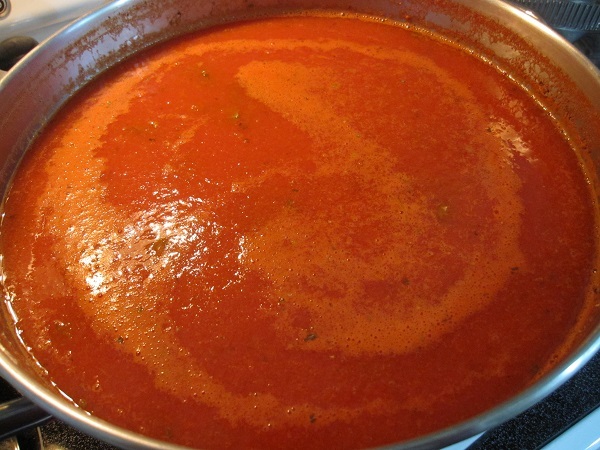 With all of the tomatoes coming in, I’ve been making lots of spaghetti sauce! Fall plantings are starting to come in and we have lettuce for our salads, turnips coming soon, and mustard greens too. The rabbits, chipmunks and woodchucks have had been snacking on our veggies too. The Swiss chard was completely decimated, as well as all of the broccoli. However, we still have more vegetables than our family can eat fresh, so I am preserving as much as I can! This week I want to plant up pots of some fall greens in our little greenhouse so we can have fresh salads later in the fall. I have seeds ready and just picked up some potting soil yesterday…so I should be good to go. 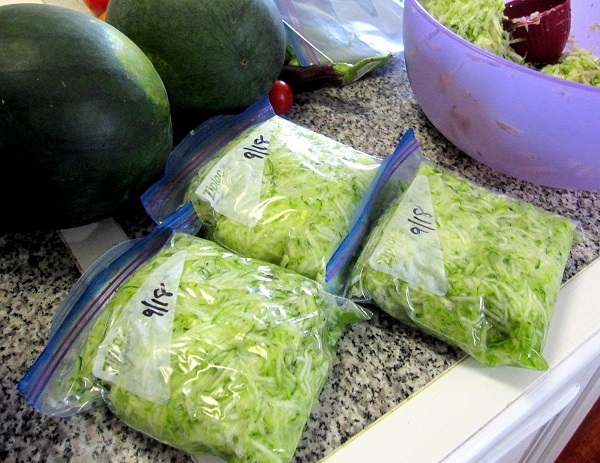 Zucchini shredded and ready for the freezer. I’ll use it to make zucchini bread this winter. Butchering Turkeys, Coyotes in the Barnyard, Eggs! Half of the turkeys have been processed and frozen. Butchering is never fun, but it isn’t nearly as bad if I just process 2 in one session…more than that and my back really starts to ache. 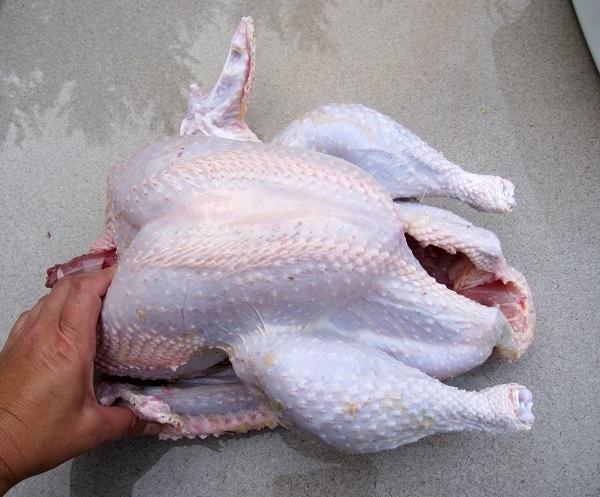 Turkey butchered this past weekend…this one was about 15 pounds, dressed weight. All of the birds are ‘cooped up’ now that coyotes have found our flock and made off with one of my young White Leghorn pullets. I was so upset to see the coyote trotting off across the field with her still struggling. Darn it! The pullets are over 4 months old now and their combs are turning red and growing out. This is a sign that they will start laying soon, and sure enough, we have one pullet laying now. I’m so excited to have our own fresh eggs again! Soon there will be only the 4 hens and a rooster in our chicken coop, and I’m looking forward to things quieting down again. The turkeys are fighting, eating a lot of feed, and making quite a mess. and it makes me feel a little sad. I always look forward to gardening, harvesting, and camping (subject for another post! ), but the cool weather of autumn is a welcome change. Enjoy your zucchini cake! 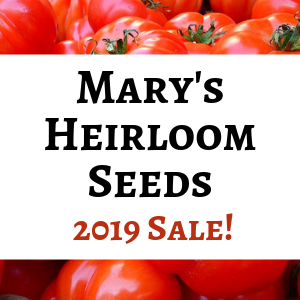 Thank you for sharing, Margy… I love to hear about everyone’s garden. 🙂 Happy Harvesting!